Complex data analysts and old school talent evaluators should be able to get along! One of the hot topics in the sports world today is analytics and whether or not it belongs in sports. While there are those who feel that analytics is an integral part in building a championship team; there are also those who feel that analytics has no place in the game and that you need to rely on the eyes and experience of a “[Insert sport here] guy” to make those decisions. 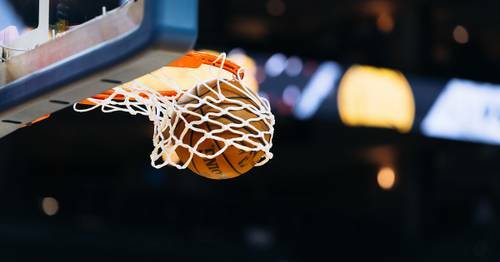 Those who embrace analytics in sports recently gathered in Boston for the ninth annual MIT Sloan Analytics Conference to discuss the many different ways that professional and college teams are using analytics to gain an advantage over their competition. Over the years, sports data has grown from the traditional box score stats (hits, runs, home runs, runs batted in, assists, rebounds, points, yards, touchdowns, receptions, etc.) into some pretty sophisticated analysis. As technology evolves, the amount of data that is captured grows exponentially. For example, STATS LLC’s SportVu has been adopted by NBA teams to allow strategically placed cameras around the catwalks of the arena to track the motion of every player and the ball throughout the game. Data is captured at a rate of 25 times per second. This means for a regulation NBA basketball game, data is collected 72,000 times for each of the 10 players on the court as well as the basketball. So what kind of analysis can be done on this data? Well, teams track player speed, player touches, distance traveled, how closely a player was defending the basketball, how many rebounding opportunities, etc. As the data is collected game-by-game, season-by-season, player trends are easily identified. For example, the speed of Player A has slowly decreased over the last couple of years, is he losing a step? Is he hurt? Do you want to sign him to a new contract? Similarly, MLB is using Sportvision’s (PITCH, HIT, FIELD) f/x software to collect data for each pitch, hit, and/or play in the field. PITCHf/x records the speed, location and trajectory of each pitch. HITf/x records data such as contact point, speed off the bat, elevation and direction. FIELDf/x records such data as positioning, time to first step, speed to the ball, and path to the ball. When you combine all of this data together, you can gain a holistic view of each pitch, hit and play in the field. Advanced #analytics has revolutionized sports: shrewd player evaluations often reside in the data! 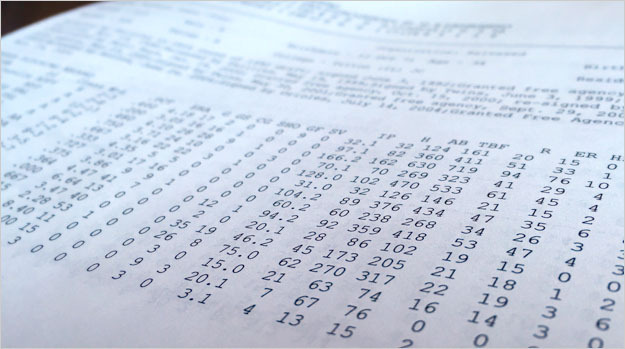 So how does a sports team take all of the data collected over time and make sense of it? Well, the same way that a hospital, insurance company, hotel or a retail store would: data visualization. 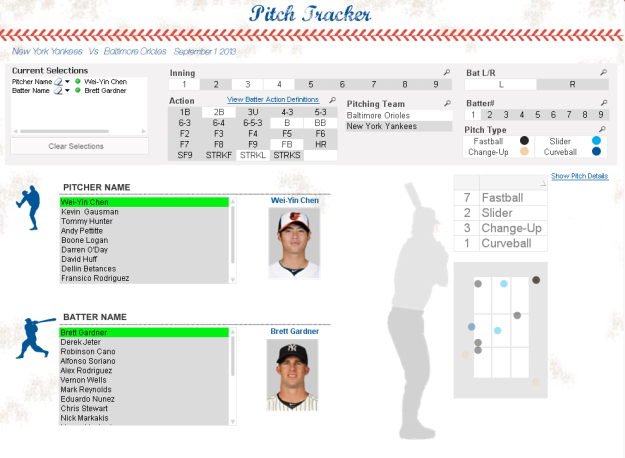 For example, The Pitch Tracker app that I built using QlikViewvisualizes the pitch-by-pitch sequence during a game. Here you can see tendencies of the pitch type, location and what the end result of each play was. 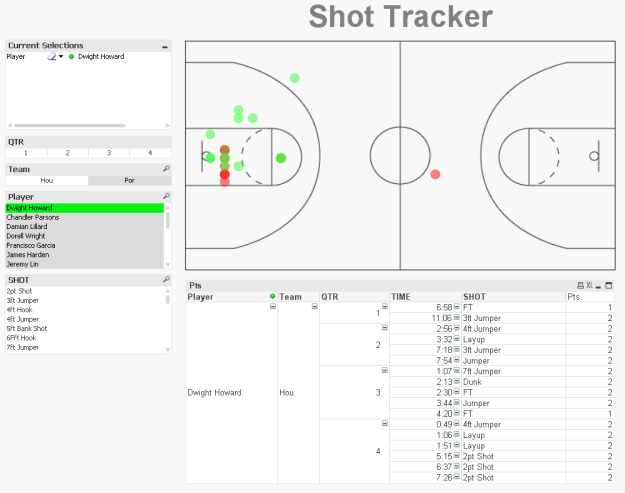 Here is another example: this NBA shot tracker app allows you to visualize where on the court a player attempted shots as well as if the shot was successful. 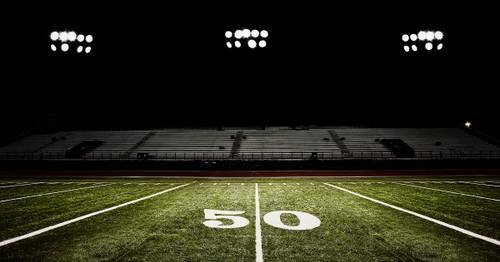 So, does advanced analytics have a place in sports? The answer clearly is yes. Analytics and the “[Insert sport here] guy” should be able to play nicely in the same sandbox. One should complement the other and in those situations where the decision maker is looking at two or more comparable players, take the emotion out of it and let the data make the decision.